After another embarrassing defeat – this time 2-1 against middle-of-the-tables second division Sampaio Corrêa for the first leg of the second round of the Brazil Cup – coach Gilson Kleina this afternoon was relieved of his duties. 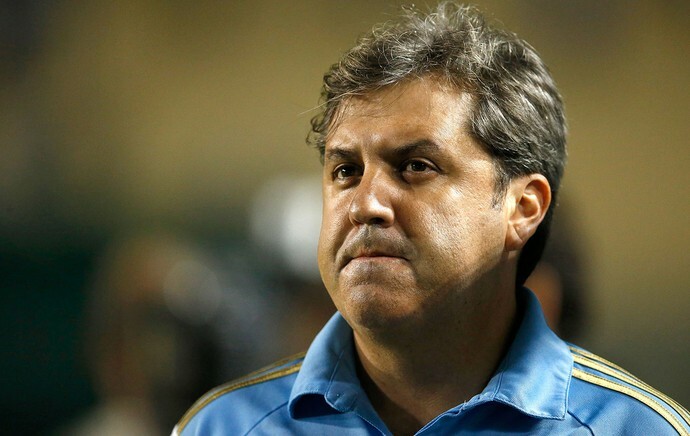 In command since September of 2012 and for a total of 105 games, he ties with Humberto Cabelli as the 14th coach having led Palmeiras the most. Kleina’s final score at Palmeiras reads 56 victories, 20 draws and 29 defeats. Assisting coach Alberto Valentim is grabbing the wheel temporarily and will lead the team against Goiás on Saturday. Palmeiras have summoned for a press conference at 17h, local time. A new coach is not expected to be announced at this point. Previous Flamengo 4-2 Palmeiras – how long will Kleina resist? Next Sonar pings #72 – We’ll be fine. Seriously.